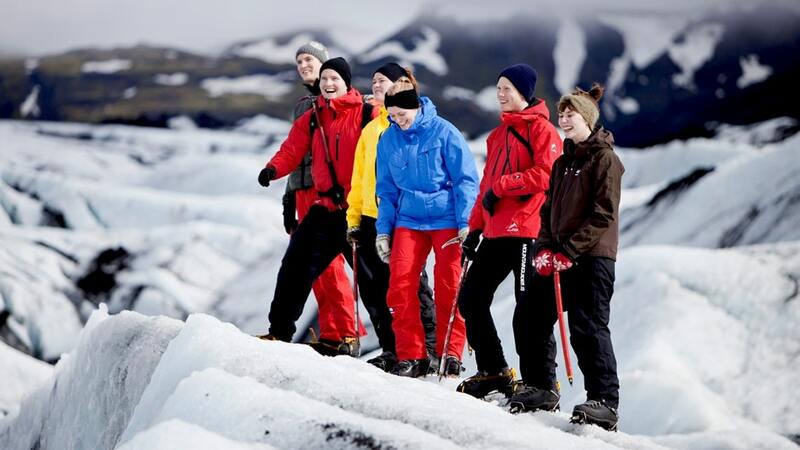 The Glacier Walk and Northern Lights tour combines two of the most popular activities in Iceland, walking on a glacier and viewing the Northern Lights! On this tour, you will travel to the beautiful South Coast of Iceland. Here you’ll walk on the Sólheimajökull glacier and see some beautiful waterfalls. 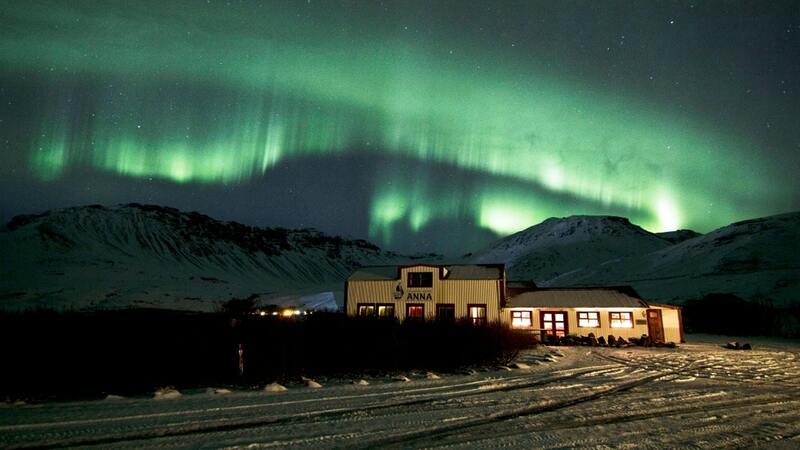 In the evening you’ll feast on a delicious, Icelandic lamb meat soup before going on a Northern Lights hunt. All combined, this tour makes for an amazing day on Iceland’s south coast! After pickup in Reykjavík, you will start the day by heading out to the South Coast. 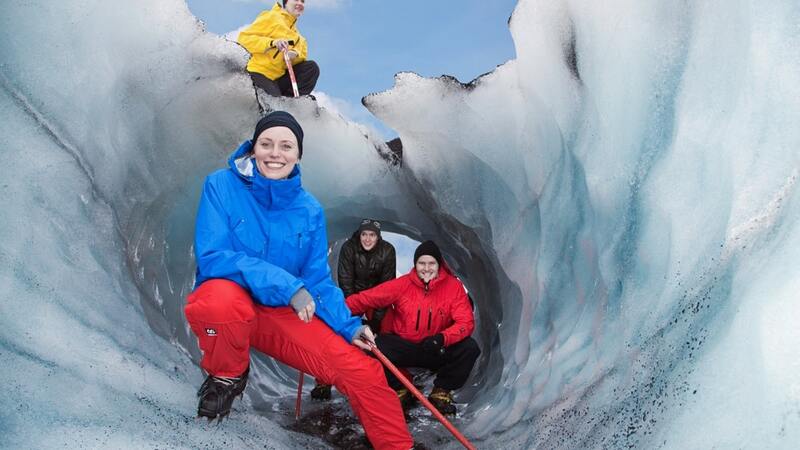 You will start your exploration by visiting the Sólheimajökull glacier tongue. 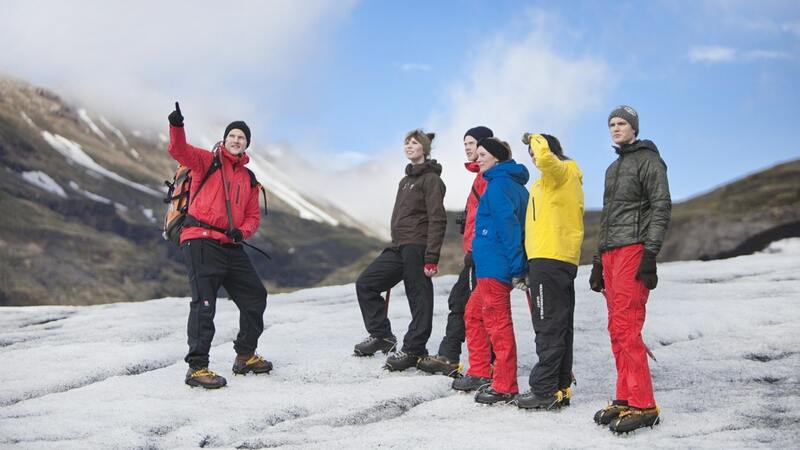 Here you will go on a safe and easy glacier hike with expert guides. Wearing crampons, you’ll discover this beautiful glacier and its features. These include water cauldrons, crevasses, and waterways. 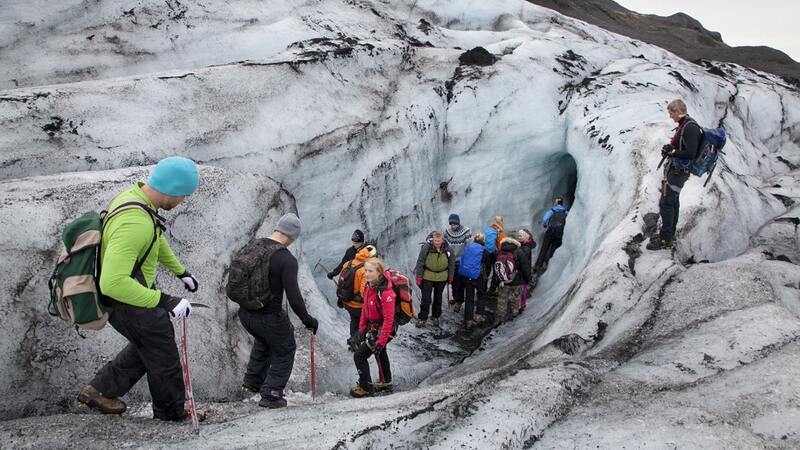 During the glacier walk, you’ll also learn more about the Icelandic glaciers and the landscape that surrounds you. 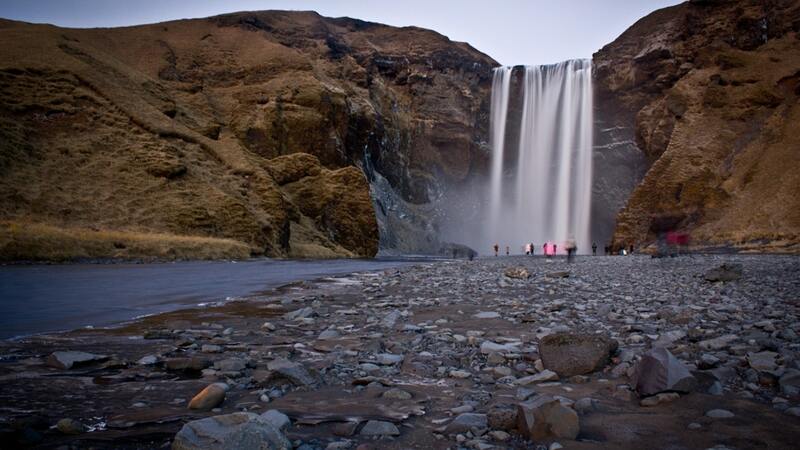 Afterward, you’ll visit the stunning Skógarfoss waterfall. With a width of 15 meters and a 60-meter drop, Skógarfoss is one of the biggest waterfalls in Iceland. In this area, you will enjoy a delicious traditional meal at a local restaurant. After dinner, you’ll head out on a hunt for the Northern lights. On the way, you will also stop at Seljalandsfoss, another beautiful waterfall located on the South Coast. You should wear warm and windproof clothing in addition to, good and waterproof hiking boots. Is lunch included in this tour? No, lunch is not included on this tour. You can purchase lunch on the way, or bring a packed lunch with you. Is dinner included in this tour? 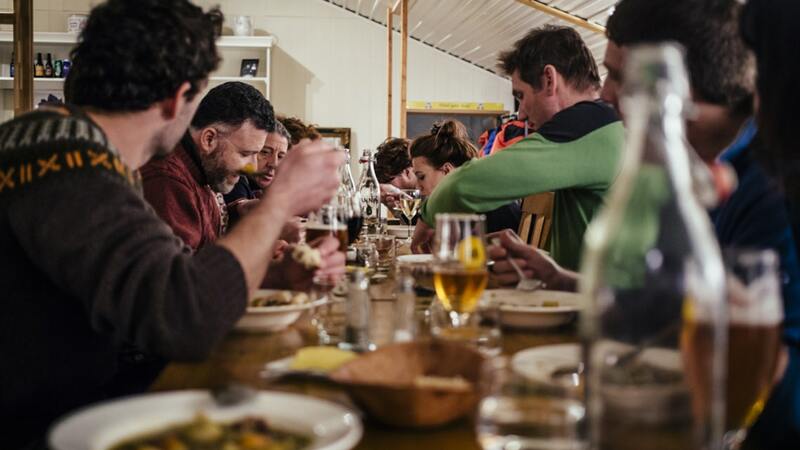 Yes, included in this tour is a lamb soup dinner – a delicious, Icelandic meal. Dinner is provided at a local restaurant. Please note that drinks and dessert are not included. 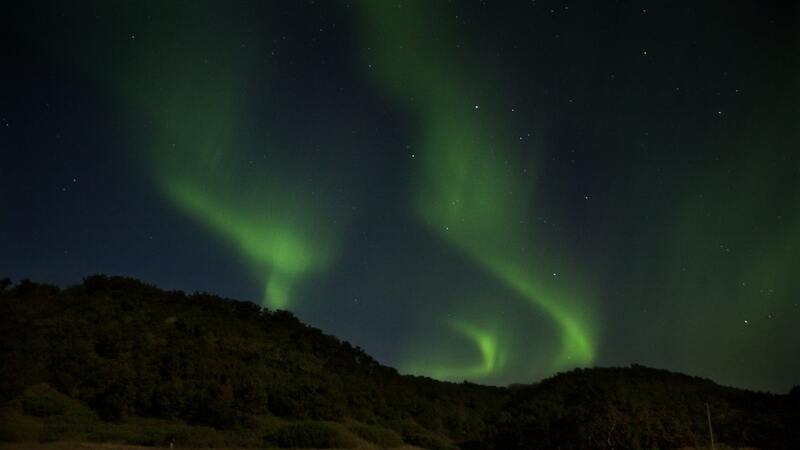 Is a sighting of the northern lights guaranteed on this tour? The Northern Lights are a natural phenomenon, and therefore sightings of them cannot be guaranteed. No refunds or discounts are given if you don’t see the Northern Lights on this tour. Reservations can be canceled 24 hours prior to departure without penalty. Cancellations received less than 24 hours prior to departure are non-refundable. Please be mindful of possible time zone differences. Iceland is in the GMT time zone and cancellations must be submitted at least 24 hours before departure in Icelandic local time (GMT).